Here’s a bit of good news for PlayerUnknown’s Battlegrounds (PUBG) fans. Tencent has released a lightweight mobile version of PUBG called PUBG Mobile Lite. PUBG and its main rival Fortnite are some of the hottest games right now. Although originally meant for the PC, both games have found their way to mobile phones as their developers look to take advantage of the massive mobile gaming community. Multiplayer shooter games like PUBG and Fortnite require extensive computing resources and processing power. With up to 100 players competing on the same map, gamers definitely need the latest hardware to run the game smoothly. PUBG, for example, requires a minimum of 8GB of RAM and an Intel Core i5 processor. Mobile versions of these games obviously have lower requirements, such as 2GB of RAM. But for those with 1GB or RAM or lower, such games are out of their reach. It’s a good thing that Tencent has come up with this version for budget devices. Built on the Unreal 4 engine, PUBG Mobile Lite is optimized for devices with low RAM. So if you own a cheap, low-end Android phone, you can finally experience the exciting PUBG gameplay. 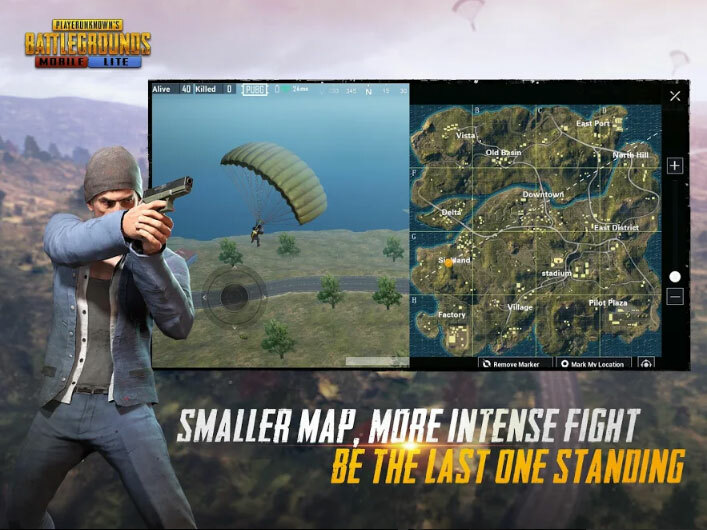 The main difference with PUBG Mobile is that the lite version is played on a 2×2 map (instead of 8×8) with up to 40 players (instead of 100). Still, PUBG Mobile offers an immersive visual experience with stunning details and effects similar to the standard game. Due to the smaller map and fewer number of players, matches tend to be shorter. On the flip side, shorter games mean more action-packed fights. At the moment, PUBG Mobile Lite is available only to the Philippines. There’s no word yet as to when it will be available to the rest of the world. The game is still in the beta testing stage so expect some minor problems such as lags and crashes.